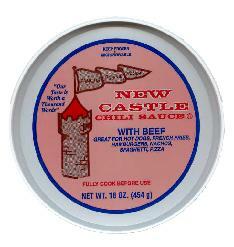 Can you pick me up some “New Castle Chili”? New Castle’s chili dogs are the product of Greek immigrants who came to New Castle in the early 1900’s and established restaurants along with their homes. These were among the first in the country. Since the early 1920’s, Coney Island has been serving their famous hot dogs via their downtown New Castle, PA location. Historians remember cooks stacking up to 20 hot dogs on their forearms in order to speed up the addition of condiments (it gets that busy!) Over the years Coney Island has grown into multiple locations and continues to be one of the most popular hot dog destinations in America. Another Lawrence County favorite – distinctive chili dogs along with other classic American and Greek cuisine like Gyros, Subs and much more! “Post Office” lunch is another historic and much loved restaurant in New Castle – try the chili dogs you won’t be disappointed! Don’t forget you can add Cheese, Relish, Pickles, and pretty much anything else you like!